Discussion in 'Gear & Equipment Reviews' started by Adino, Apr 15, 2008. We Are Eternal. Eternal in mind, energy, and spirit. Our will cannot be broken. Our heart aches to be tested. In adversity, we thrive; in life, we live; in the face of opposition, we rise. Together we stand, join us. Awesome, thanks for takin the time to do a review! Good review... I am liking the clothing may have to pic some up. Nice products. I'm sure the printing is waterbased and discharge printing. Do the tags have an "RN" number on the tags? If it is still the tshirt manufacturer's number on the tags, I'll tell you who makes the t-shirts. I like the name for starters. Definitely top notch design. There's a big difference between designs that just have a brand name logo or some cheesy graphics (or even worse, they stick some beads on them), compared to those designs that are nothing short of being artistic. These fall in the category of the latter. I got turned onto this company a month ago when Adino mentioned it in a thread. I have a couple and they are very nice. Really understated simple designs. The slimfits dont have a tag. I'll have to look at the HW t's lata. :icon_chee glad I could help Bobby. You need to make a list of how much $$$ I have caused you to shell out on second though lets not do that. I appreciate your efforts Adino. You turned me onto Protech, Eternal and there were a couple other things I can't recall at the moment. I'll be updating this thread with pics of one of there hoodies that I should be getting soon. Feel free to ask questions guys and gals. very nice review. i wish mmawarehouse would pick these guys up. im going to be putting in a shirt order soon and id love to get some of their stuff as well. 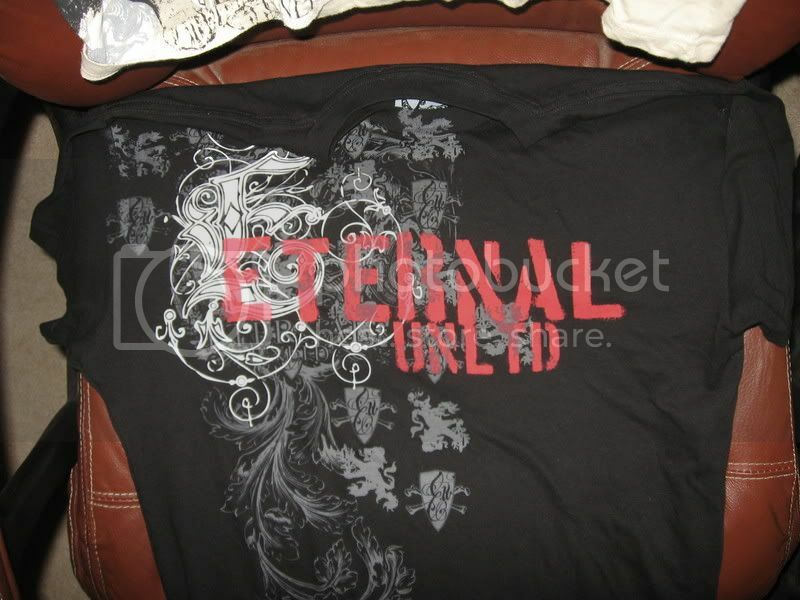 I know on orders of $60 or more you get free shipping from Eternal :wink: Pretty sweet, 3 t's or 1 and a hoodie and it's shipped for free. I'm sure we will start seeing Eternal is some of the bigger retailers sometime down the road. Here's my question. I have a long lean body type and need the "slim fit" otherwise I've got way too much slack at the bottom. I've noticed that some of these say slim fit while others don't. On the eternal unlimited website, it doesn't have any that say 'slim fit'. What's the deal? Any 1 know what happened to these guys? 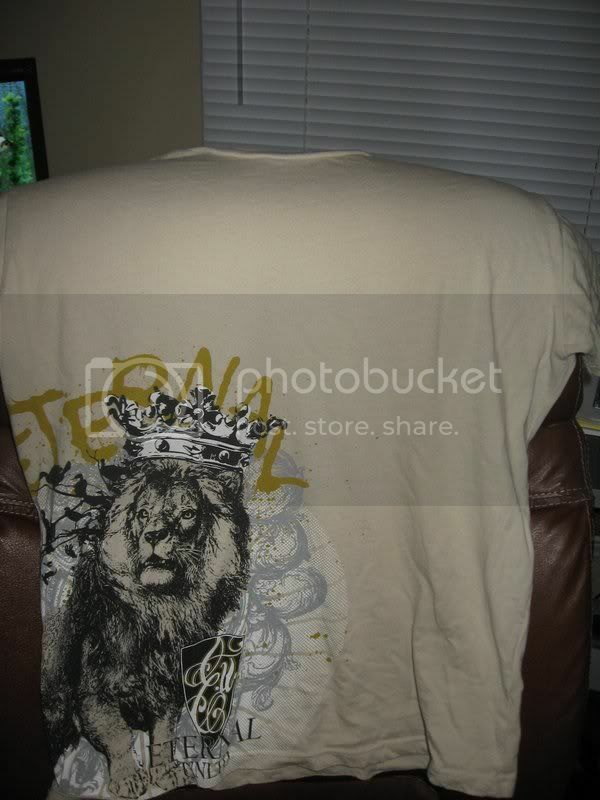 I own almost every shirt and went to buy the Worldwide one and they aren't around anymore. I think these guys went out business. The website link that ts posted goes nowhere and almost every site i've seen that carries their products is selling them at clearance prices. Can anyone confirm the status of this company?